A cop who was trying to break up a fight now faces internet backlash after a video shows him punching a woman in the face. After watching the video though, it appears he punched her after she went after him, so it’s surprising that this is such a big deal. I mean, is it now ok to start pushing a cop? Of course there’s a chance that he’s going to use force to stop you if you do so. Apparently this cop is now being questioned about the incident. What do you think? 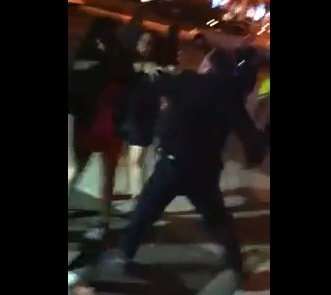 Take a look at the “cop punches woman during a fight video” and let us know your opinion.